I couldn’t remember the last time this had happened. It was the week of CES, and while all of my coworkers flocked to cover the event, I stayed back to hold down the fort. This meant one thing: I had the office all to myself. I could sit where I wanted, work on projects that I had gotten buried under other assignments, and, most importantly, I could listen to whatever music I wanted. 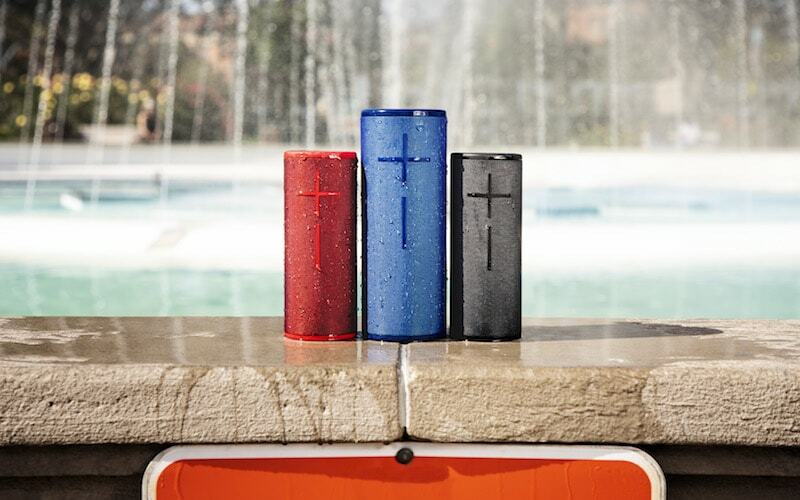 Enter the UE BOOM 3. The speaker had been sitting on my desk for a few weeks, as deadlines and the holidays had resigned me to the solitude of my noise-cancelling headphones. But this week, I was the only one there, and there was no noise that needed to be cancelled. At home, I had been using the UE Roll 2 for some time. The sound quality was decent enough, one-directional, but I still liked it for it’s portability. So, when I finally broke out the UE BOOM 3, I didn’t have high expectations for the sound quality. Boy, did I underestimate this speaker. The 360-degree sound adds layers to whatever I listened to. The sound was rich and full, especially for such a small, transportable speaker. Plus, this range made it so that I could enjoy it in the lonely office, but I also would feel comfortable bringing it to an outdoor barbecue. The UE BOOM 3 also has innovative but simple usage. With their one-touch button, you can easily start and stop music, as well as set up one-touch playlists via Apple Music. To top it all off, the speaker doesn’t look too bad either and comes in a variety of colors. While the UE BOOM 3 rocks in a lot of ways, the price is relatively expensive compared to other speakers. For example, an Amazon Echo goes for about $75 while the UE BOOM 3 costs $129-$149. What you get from that extra $54 is the ability to take it with you pretty much anywhere, but you lose any “smart” capabilities. Really, it’s just a quality bluetooth speaker, so if you’re looking for something “smart” the UE BOOM 3 might not be for you. UE does have an Alexa-enabled speaker and that starts at $179. However, you’ll likely get a better sound quality out of the UE BOOM 3, and if you’re an outdoor enthusiast, it might be worth the extra dough for this extra-durable speaker. How Fetching is the iFetch?